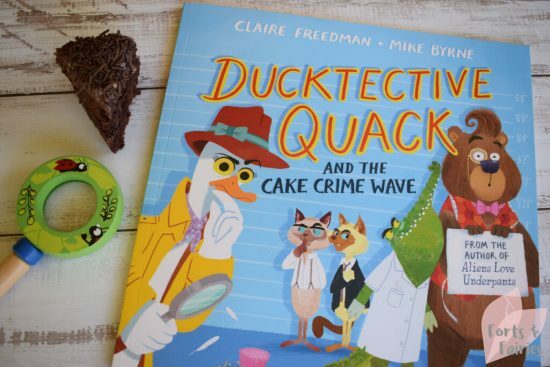 The cover of the new Ducktective Quack and the Cake Crime Wave hints at an interesting, fun book, and the story inside does not disappoint! As with author Claire Freedman’s fan favourite Aliens Love Underpants, you can look forward to a quirky read but one that will have your little ones guessing ‘who-done-it’ right up until the last page! There is a crime wave gripping the town, but Ducktective Quack is on the case to track down the thief. 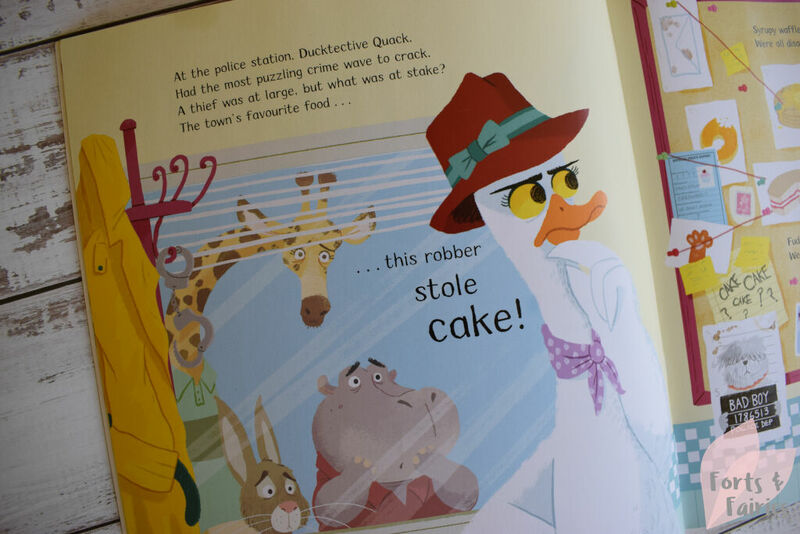 The stakes are high, because this robber steals cake! There are clues in the pictures to help you zero in on the culprit, as well as yellow notes to encourage you to hone your detective skills. 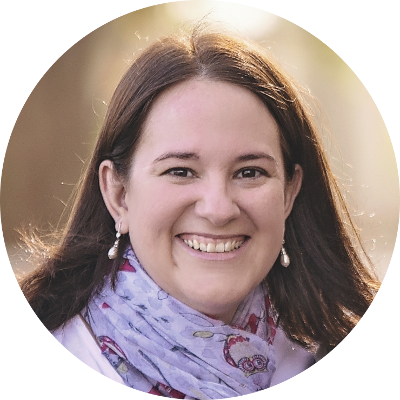 Even once Amy knew who the thief was she went back to pour over the clues again and see if she could spot the villain before his identity was revealed. The funny story is told through rhyming verse and I liked that it was a bit of a longer story to make storytime more entertaining even for the older kiddies. 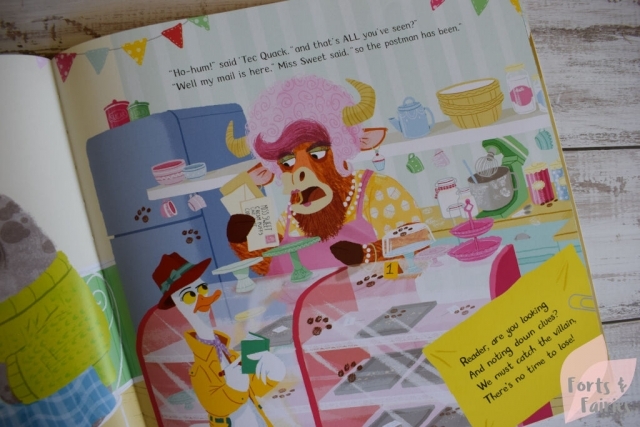 I also loved the brightly coloured illustrations by Mike Byrne and we all enjoyed meeting the interesting characters. Ducktective Quack and the Cake Crime Wave is available from book stores and online retailers for a recommended retail price of R195. It’s recommended for children aged three to five. Thanks to Pan Macmillan, we loved meeting Ducktective Quack!